notes mcm entertainment europe (based in london, uk) does radio production and syndication. produces national radio programmes, commercials, concert recording and mixing, satellite broadcasting and specialised production for radio stations, advertisers and retail outlets. 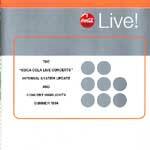 in 1994 they were marketing agents for the 'coca-cola live' concerts and radio broadcasts. 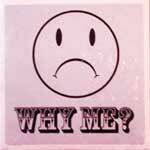 this cd is part of a series intended for internal coca-cola system use only. not for broadcast or external presentation so it's probably been made in a limited number of copies. the first track is an 11 minutes 'quarterly update' on the 'coca-cola live' promotional campaign for 1994. a dj from mtv speaks about the mission of the 'coca-cola live' organization, with comments by alice cooper, boy george, european coca-cola promotion specialists, and other people in the business. 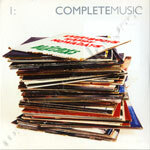 all music tracks are live and were not available on cd or records, or from any other radio suppliers. they could be listened to only on the 'coca-cola live' radio program. the nirvana track was later included in 'from the muddy banks of the wishkah', in a remastered version.